Should You Sell Your Home Or Rent It Out? Posted by RE/MAX All-Pro on July 1, 2017 Comments Off on Should You Sell Your Home Or Rent It Out? Sometimes, you decide exactly when you’d like to move. Other times, life swoops in and decides for you. Your company might transfer you, a family emergency might require relocation, or you might finally find the love of your life—three states over. Should you sell your house or hang on to it as a rental property? Here are 5 important considerations. 1. Are you gone for good? Or do you need an exit strategy? If there’s a good chance you’ll return to your current home in a year or two, the money and time you spend selling your home and then buying a new one might make renting it out a smarter option. 2. How’s the rental market? Look at online rental sites to see what properties in your neighborhood and in similar condition to yours are renting for. Are there a lot of listings? Think about what you might charge and what you might have to do to bring your property up to the market standard. You can then get an idea whether your potential rental income will cover your expenses. 3. Where’s the neighborhood heading? A lot of factors feed into property values, from national trends to long-term construction plans. An agent can help you understand your property’s potential for appreciation and whether or not it might pay to hang onto it. 4. How much is the hassle of being a landlord worth? Unless you pay for a property management company (about 10 percent of the rental income), dealing with issues, emergencies and uncooperative renters (sometimes all at once, often in the middle of the night) can be trying. Ask yourself if it’s worth the stress. 5. What are the tax implications? Each situation is unique, so before you decide to rent out your home consider talking with a tax professional. They can help you figure out how much you can expect to pay in taxes on the rental income. If you’re ready to sell, a RE/MAX All-Pro agent is ready to help. 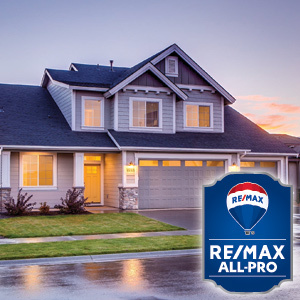 Find an experienced professional to work with – visit RemaxAllPro.com. Fresh paint on the walls, professional staging and an asking price that ends in 999 — when you’re selling your home, you’ll do whatever you can to help it stand out and sell faster. Because the National Association of Realtors is predicting modest growth for the 2017 real estate market, as a seller you want every edge you can get. And on the heels of the popular Consumer Electronics Show in January, perhaps that edge is a smarter home. According to IHS Markit and CNBC, 80 million smart home devices were delivered worldwide last year. That’s a 64 percent increase from 2015. Have you ever left the house and worried that you left the front door unlocked? If your home is equipped with a keyless/remote entry door lock — available from multiple manufacturers — you can use an app on your smartphone to lock the door from wherever you are. Some manufacturers make versions that will also send a text or email to your phone when the door opens. Locks that can be programmed with multiple entry codes also allow you to see who comes and goes and when. From lighting automation that allows you to control lights remotely and wirelessly, to energy-efficient LED bulbs that can change color to match your mood and decor, lighting has come a long way. Some smart lights work in tandem with home automation systems to allow you to turn them on or off, or even dim them, from an app on a smartphone or tablet. Others require no communication hub and can be controlled directly from your mobile device. You can also put some smart bulbs on timers (using your wireless device), sync them with certain TV shows or movies, and integrate them with security cameras and thermostats. Don’t want to sign a contract or deal with complex security systems? Install-it-yourself security systems are affordable and offer security features like cameras, sensors, motion detectors and alarms or sirens, without the need for a security service to monitor them. The Internet of Things (IoT) — everyday objects that have network connectivity — includes a growing list of smart appliances. Many manufacturers are offering washers, dryers, refrigerators and other home appliances that can communicate with you — and each other — wirelessly. Many can be controlled remotely from your smartphone — so if you leave the house and can’t remember if you turned off the stove, you can check in and turn it off using your smartphone app. While appliances aren’t always included in a home sale, they do make for interesting features that keep your home top of mind to buyers. One of the easiest, most affordable smart home upgrades you can make is to add smart plugs to your home. These Wi-Fi-enabled plugs fit existing outlets and can be controlled from a smartphone app. Plug anything into a smart plug, like lights or a television, and you can turn it on or off remotely, track energy consumption, or even create an on-off schedule. Programmable thermostats were just the beginning; today’s home temperature controls are even smarter. Like other smart home features, smart thermostats can be controlled remotely from your mobile device. You can program them to make automatic temperature adjustments and then use your smartphone to override the program like turning up the heat on a particularly cold day. Some smart thermostats learn from household behavior and adjust the temperature to meet your family’s needs and save energy, while others adjust based on the number of people in a room. And several can now be operated via voice-controlled virtual assistants. 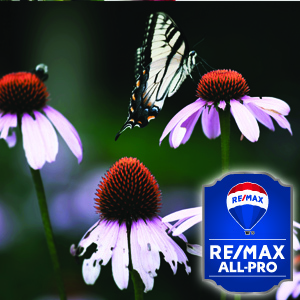 If you’re thinking of selling your home, find more helpful information at www.remaxallpro.com.